Camptech's 2018 Airdream Vision DL is a superior quality inflatable awning at a reasonable price. The Vision DL is designed with the demanding camper in mind. 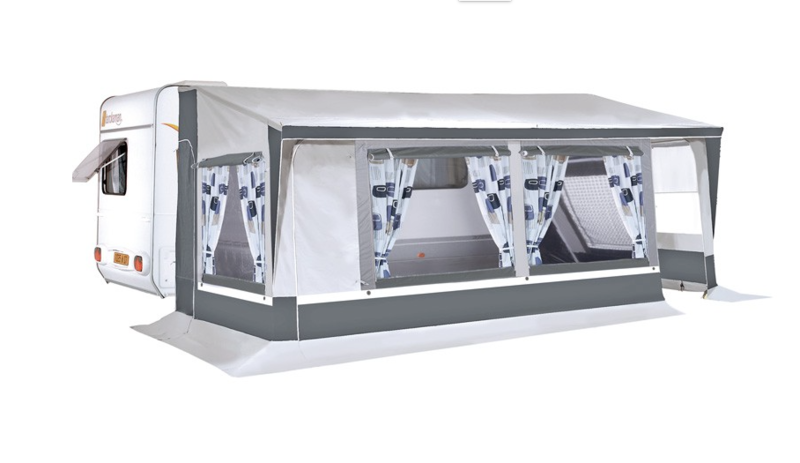 Its special quality features include: new size 10 Techline smooth flow zips, panoramic roof panes with blinds and Climatech SR16 - a superior quality coated polyester material. 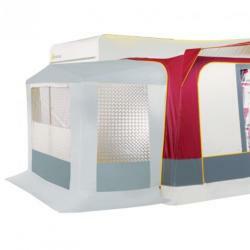 The Camptech Motoair employs the latest technological developments. Very simple to inflate - In less than 10 minutes you could be relaxing inside it. The Camptech Motoair will fit most motorhomes with either side or rear door openings. Extremely reliable and very reasonably priced for such a high quality inflatable awning. The Camptech Atlantis DL a technically advanced awning produced in the new heavy duty Climatech SR21 SEASONAL PITCH coated polyester for maximum strength and performance. Exterior window blinds are fitted as standard, great for added security and privacy. Five storm straps can be used for extra stability as optional extras. Perfect for seasonal site use. Annexes available to fit either end from only £162 ! Free pair of stormstraps and free delivery, too! 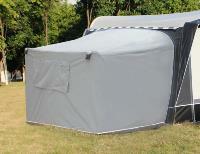 The Camptech Cayman represents one of the best value quality awnings in the UK. The Cayman is designed for touring and weekend use. The walls are produced in the new Climatech SR17 coated polyester which is easy to clean and offers great durability in all weather conditions. The Cayman may be low in price but it is high in quality. Free stormstraps and free delivery, too! 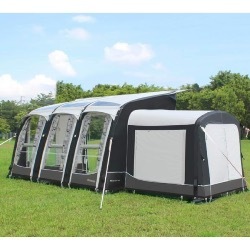 The Camptech Eleganza DL was voted best value Seasonal Pitch awning in the UK in 2018, combining practicality and quality in an awning for serious campers who demand the best. The Camptech Savanna a technically advanced awning produced in the new heavy duty Climatech SR18 all season coated polyester for maximum strength and performance. 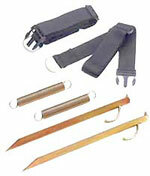 Three storm straps can be used for extra stability as optional extras. 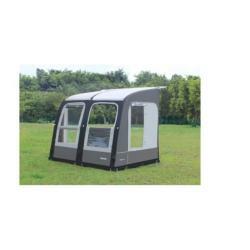 Available to suit all Camptech models, Ideal for families who require extra storage space or who may require an extra sleeping area. The Camptech Starline INFLATABLE has the very latest 'air beam' technology which makes it very quick and hassle free to erect, no more complicated poles to struggle with. This is camping made, simple and stress free. The Camptech Starline is produced in Climatech 210D PU coated for strength and durability, this exclusive Camptech material is also fire retardant for your safety. Camptech air beams are incredibly strong and are designed to give many years of trouble free camping. 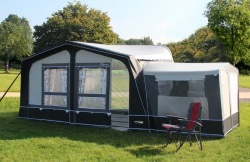 This is Camptech's top quality, deluxe, Tall annex fitted with a rear door which enables you to have easy access when using the annex for extra storage.